It is quite impossible for people nowadays not to have at least one active social media account. Social networking platforms such as Facebook, Twitter and Instagram have revolutionized not only the lifestyles of many but also the way we share information. Citizens of the internet are not new to posting or sharing information via social media. This information could be in the form of a status, a tweet, a photo or a link. It could be something that sparks their imagination, touches their emotions—something they could relate to, something to warn others or something that others will find interesting as well. It seems that everyone has the ultimate freedom to like, post, share, tweet, pin and follow. The power of social media is undeniable, indeed. Part of social media is all about news and discoveries. Social media can help build links which support SEO efforts. It is on such platforms where content is king—be it in textual or visual form. As business owners, you might want to start creating content that is not only original but fresh and engaging. Aside from focusing on your company’s website and/or blog, it is important that you infiltrate various social media marketing platforms depending on your target audience. Most people turn to their social media accounts for information. Businesses must learn how to tap into the interests of their market for easier customer acquisition and lead generation. Indeed, branding has never been this easy. Here at Seequs, we provide tips and tricks that will help you garner more visitors upon posting a link to your content on Facebook, Twitter or any social networking site. 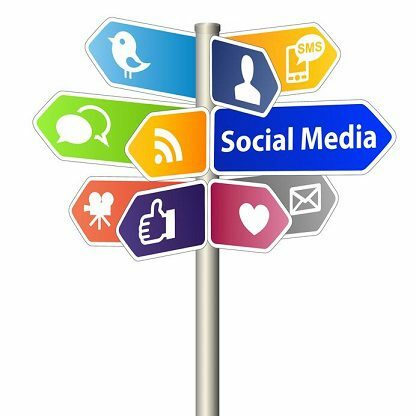 Social media marketing is an excellent way to build your brand and increase your customer base. Get started together with Seequs Marketing Technologies today: (720) 408-0080.